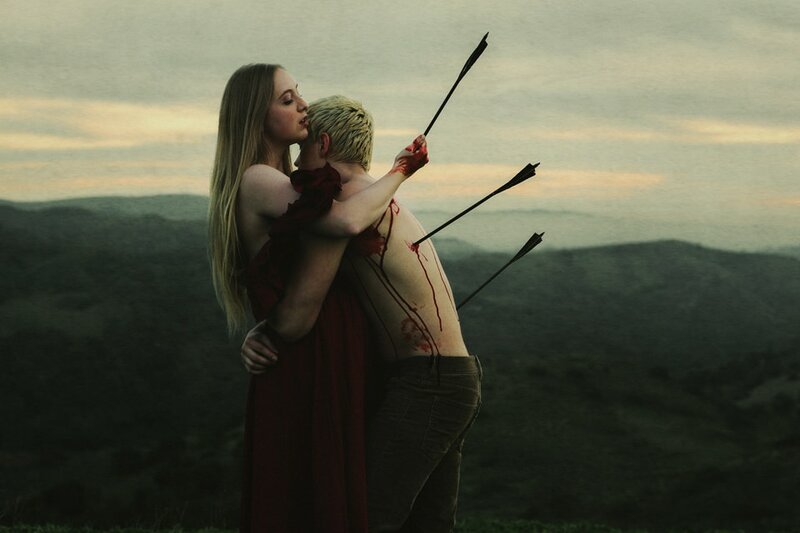 The first artist I looked at was Alex Stoddard, who is a fine art photographer. 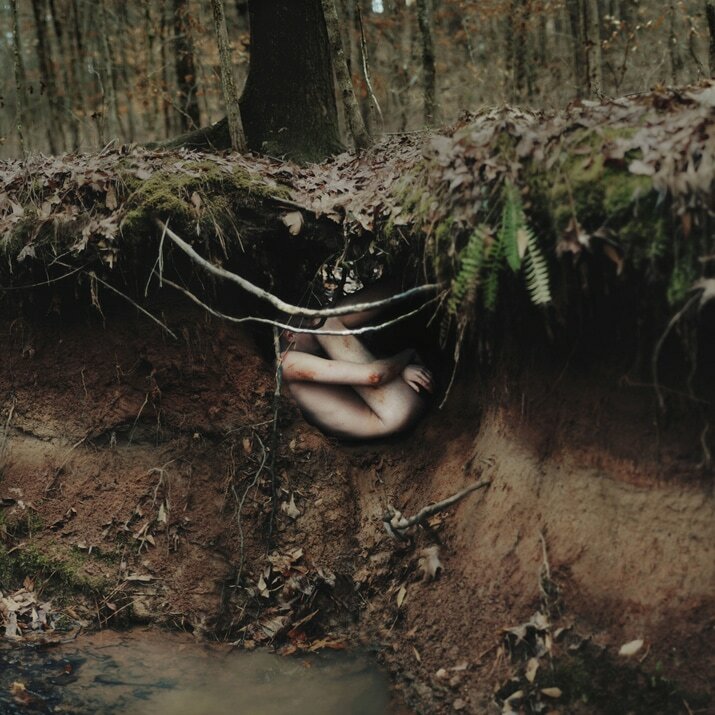 His work is normally experimental and includes many self portraits. 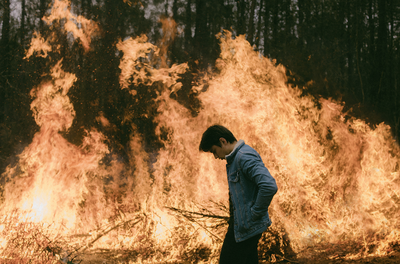 In each of his work, he normally has at least one human form who is the subject of the image, but the portraits are taken at a location, like a woods. 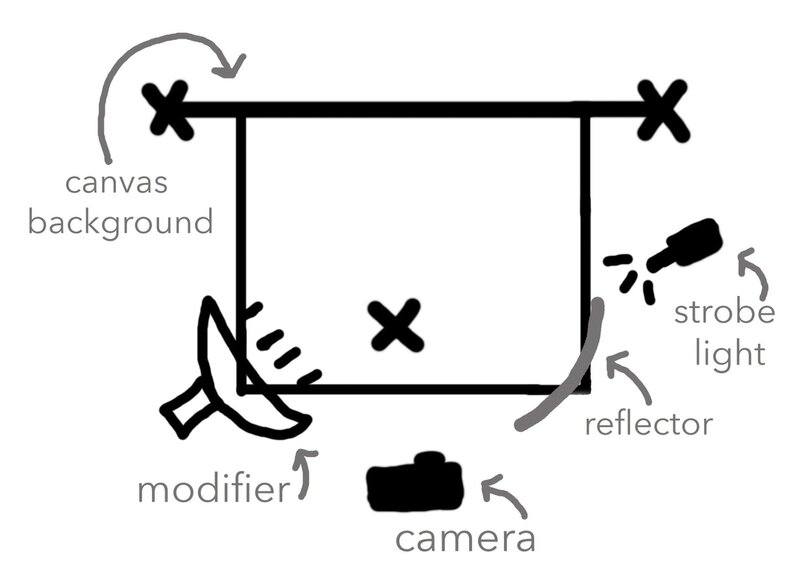 This makes the work seem more down to earth and natural, making an un-realistic concept realistic. Stoddard goes to extreme lengths to create his work, and puts himself or his model is some very un-comfortable situations. Or otherwise he uses photoshop to explore fantasy. The images are both a landscape and a portrait, meaning there is a lot going on in the images. However the landscape is consistent, therefore there isn't too much going on that it is overwhelming. His work usually has a dark tone, this adds to the deep meaning of the collections, but it also makes the person stand out as their skin is normally light. The green, yellow, tone again helps the work to seem more natural and earthy. It makes colours that would appear to stand out like red or yellow blend into the image, therefore helping the image to be more realistic. The composition is central, I think it has to have a simple composition so that with the landscape and the portrait there isn't too much going on. The image makes you feel sentimental and thoughtful because all then edges of the landscape are soft and blended, this also adds to the image being natural. I think that Stoddard created this work so that people look at the world around us and what we have created truthfully, including the good and the bad. The shapes and line are soft but bold in all of his work, this adds to the realistic side of the collection. The shapes are normally curved and circular, this shows a cycle, maybe the cycle of the world how something may happen good, or bad, but it will come round and happen again. The lighting used is natural lighting, this ensures there is no harsh lighting. Stoddard has a few strobe lights and modifiers that he often carries with him but hardly ever uses and prefers to stick to natural or ambient light. Using natural lighting is more effective because it gives a soft touch of light, instead of a harsh beam of light. If Stoddard did use harsh light when he came to darken the images, it would be difficult and take away from the natural aesthetic of the images. Stoddards work is mainly made for himself, for him to upload to Flickr, where he originally started, or he will create paid work for magazines or album covers. The second artist I looked at was Annie Lebovitz, an American portrait photographer. Lebovitz, like Stoddard she shoots experimental fantasy, that has both landscape and portrait. However, Lebovitz work is far more fantasy, which does take away from the natural realistic side of the image. The human forms in Lebovitz collection are less of a human form and more of a character or mythical creature. The colour of the landscape is normally part of the same colour group, keeping it simple and allowing the human form to stand out more, with bright contrasting colours. The shapes are created in theses images by either the life form or the landscape, which sometimes can make it look like there is a lot going on. The shapes are traditional shapes made by a tree, or exactly what a fairy would do. They are also exaggerated, which unlike Stoddard makes them more of a fantasy than realistic. Texture is a min part of Lebovitz work, you can see all textures on both the landscape and the people, as well as their clothing, this emphasises the busyness of the images. Lebovitz normally shoots, the landscape and the portrait separately, and edits them together in photoshop. Most of the portraits are shot in a studio, with studio lighting and a crew of people, however sometimes the images are shot in location. The composition and lighting makes me feel at ease, relaxed and creative. I think that Lebovitz is trying to show that there is more in the world than what we see, you just have to look in the right places. If you look high in the sky or into the forests u will find the mythical creatures that lurk there. The first image is Jenifer Lopez as Jasmin and Marc Antony as Aladdin made for Disney as part of "Disney dream portrait series." 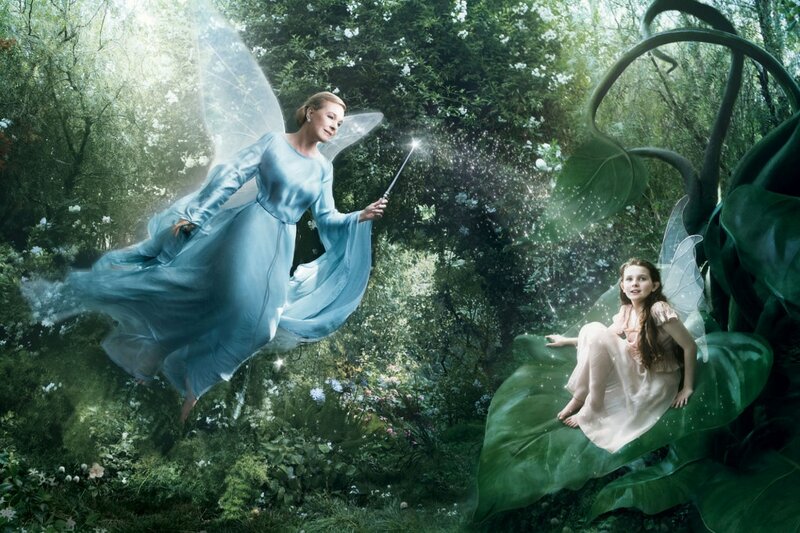 The second image is Julie Andrews as the Blue fairy from Pinocchio and Abigail Breslin as Fira, this was also made for Disney . 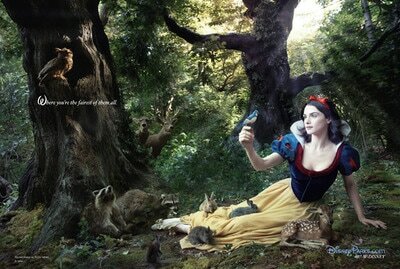 The third image is Rachel Weisz, as snow white from the same collection "Disney dream portrait series."